JapaneseWall 禅壁ブログ: Zen Wall on Old Wall? Zen Wall on Old Wall? 2) The paint on the surface is not glossy like, as this surface is not suitable to hold our Zen Wall. Undercoat should be applied, or clean up the existing paint. 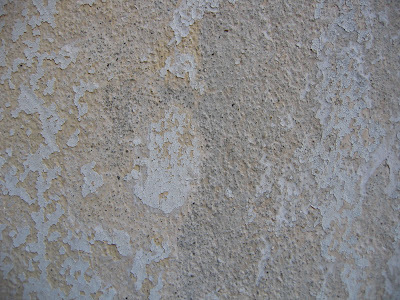 3) Spray off or scrape off the peeling paints/ stucco with pressure hydro cleaner, and let the wall dries off completely. 4) If the surface is textured, you may want to sandpaper it, or smoothen the surface, then apply a layer or two of undercoat. This would make your troweling work easier. But if you would like to spray on the surface, then make sure you are aware the type of textures you are getting. In summary, the conditions of the underlying surface must be good! While MakeUp series is meant for refurbishment, but if the above conditions are met, then basically all series of Zen Wall can be applied.